I know it has been a minute since I last blogged! This year is already cruising by. We are just about completely booked for 2018 with a couple clients reaching out to us for those few open dates recently (it was meant to be)! We're excited going into our second wedding season as a new business and extremely fortunate to have the best clients- yes, all of you! 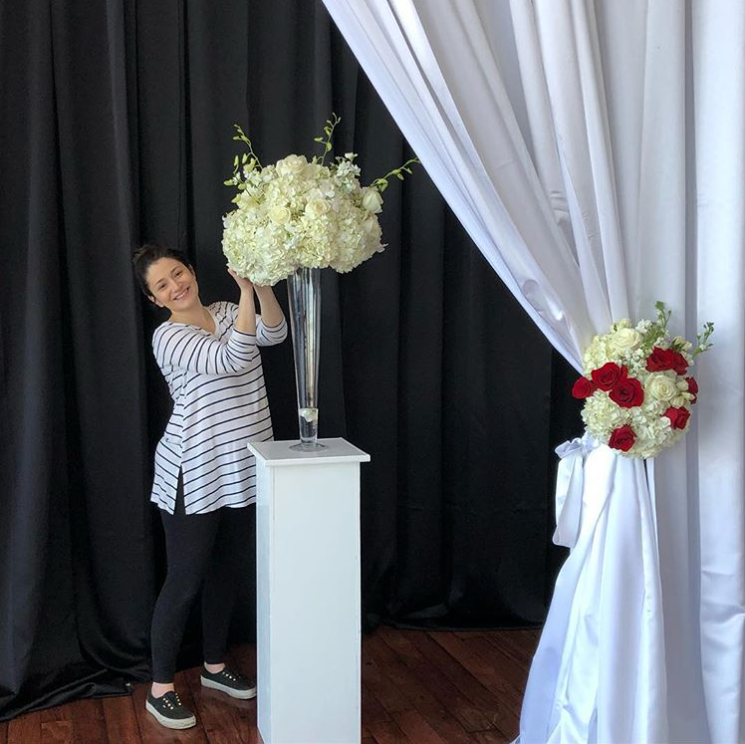 Not only do we get to decorate beautiful venues in our local South Shore, but you'll see us in the North Shore, Boston and all the way down to Newport, Rhode Island! We already have one wedding under our belt this year. At the end of March we had the pleasure of working at The State Room in Boston. There are no words for the breathtaking views looking down from the 33rd floor. Our couple was the absolute SWEETEST! They incorporated some really unique and personal elements into their wedding. Keep an eye out for their #BestDayEver post! It's not often couples have a theme wedding (remember this Halloween theme wedding?!) but we get all sorts of excited when they do! Next weekends wedding is inspired by one of America's greatest two minutes in sports.. the Kentucky Derby! Expect seasonal favorite flowers like peonies, mint juleps and horseshoes. I'm debating whether or not to wear a fun, giant hat. I bet this wedding will be one for the books! Shout out to those checking back to see what we've been up to. I promise we'll be better at blogging. Make sure to follow us on Instagram and Facebook for your weekly fab flower fix! Until next time, keep living your best life!